Oh Kill Team, what have you done to me?! I feel like I’ve spent the entire weekend writing up different lists, juggling people around to fill specialisms, and generally losing myself in list-building for skirmish games! I suppose this isn’t necessarily a bad thing, as it has allowed me to look at a lot of the factions where I’ve not got a lot of work done, and started to think about finally finishing off some of my long-held projects. 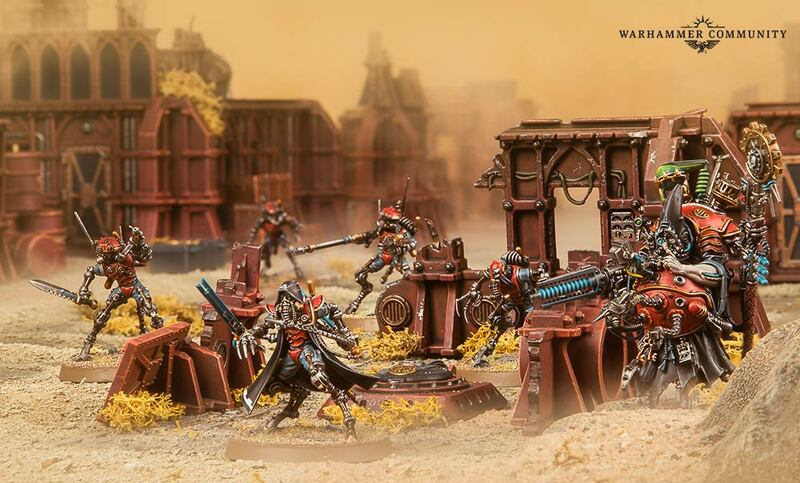 I’ve been off-and-on thinking about a Skitarii army since I first bought the Start Collecting box back in May last year on a whim. 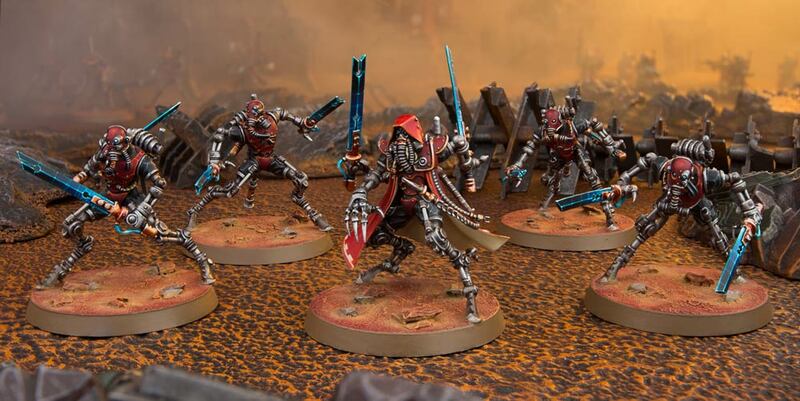 Since then, I rather feel like I’ve been drowning in Skitarii miniatures, and between a second SC box, Forgebane, and now Kill Team, I think I probably have enough troops to garrison Mars. There’s something about a huge wave of these robot-men that I like the idea of, so really want to have an army of the blighters. 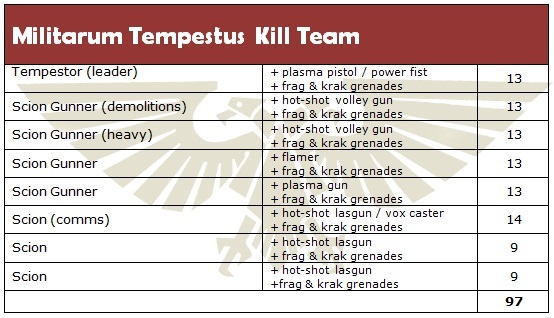 For Kill Team, of course, I’m going slightly more circumspect – let me introduce you to my list! 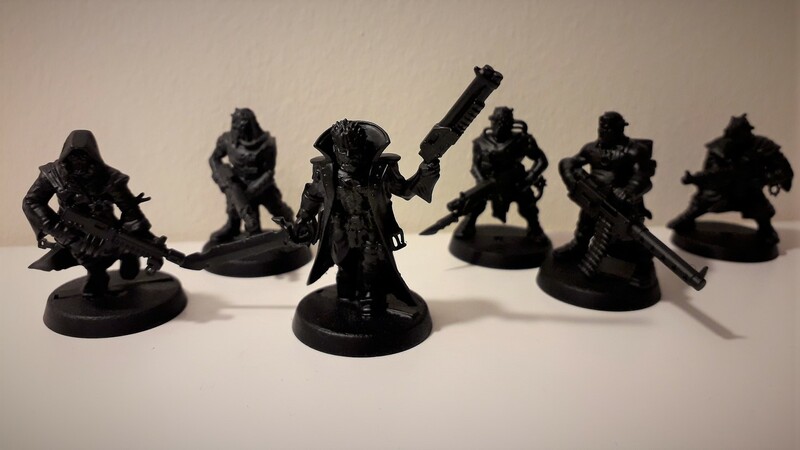 Team Lambda-Rho-Psi is a fairly standard mix of Rangers and Vanguard – I know the radium carbine is probably a better option than the galvanic rifle, but I already have three galvanic rifle dudes painted and ready, so half the team is already done! I’m therefore thinking I only actually need to paint five guys for this to be a finished team, which feels like a much more manageable option! 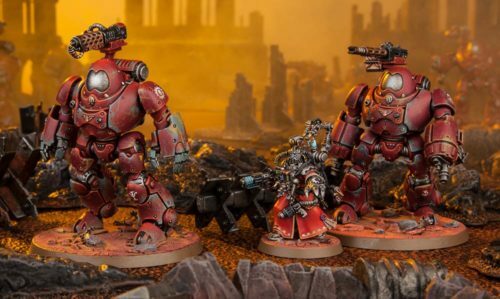 It also fits in quite nicely with my Summer Painting Goals for the 500-point Skitarii list, although I do need a second plasma caliver-wielding Vanguard for this one. I do like the army, at any rate, and it’s something that really excites me when I think about the hobby and 40k in general. 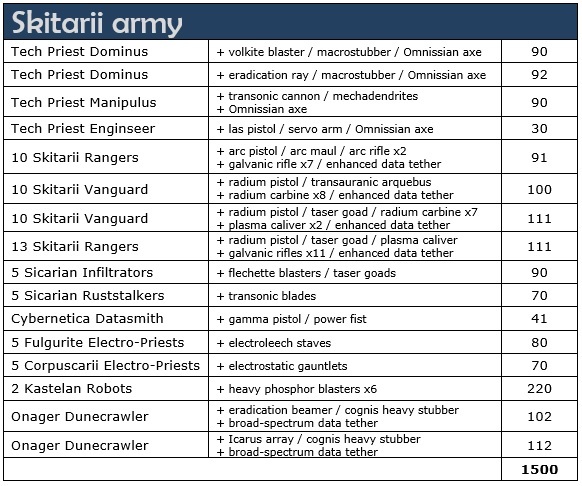 I really fancy an eventual army with probably two battalions’ worth of Skitarii, along with Dunecrawlers and the like. Ah, wonderful! 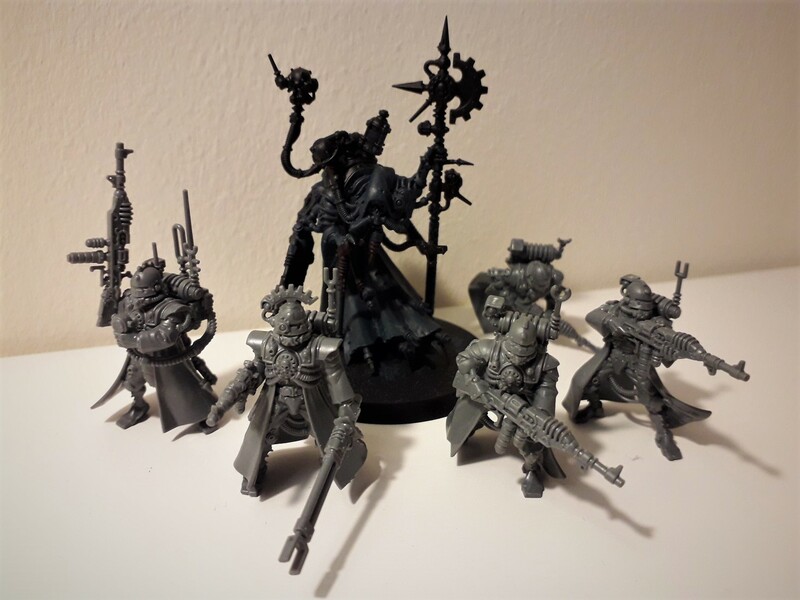 These guys have a similar feel, for me, to the Skitarii mentioned above – everything about them just feels classic 40k somehow, and I love the fact that I have them in my line-up. I’ve been thinking for over a year now about getting together an army of just Scions, but since the Codex arrived last autumn, instead I’ve been considering my options for widening the view to take in some of the tanks of the Astra Militarum, also. Eight bodies doesn’t seem too much, does it? Especially when you think I’ve already got one painted – the actual Tempestor Prime for the army won’t work in Kill Team, but one of the Tempestors I have for one of my squads will work just as well. I’ve been putting off painting any more of these so far, mainly because I can’t remember the colours I used. But I think I just need to crack on and get some paint on there, and it should be vaguely obvious what I’ve used. I think it’s Mephiston Red with a shade of Nuln Oil for the carapace armour, but I can’t really be sure. Anyway. 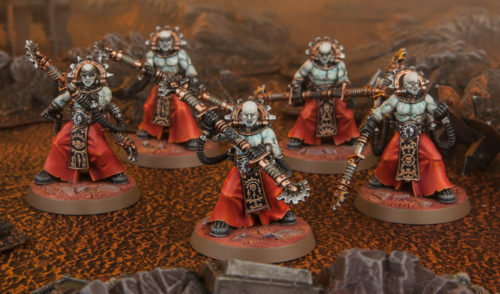 As with the Skitarii, I’m really excited about painting up these Scions, not only because I already have the army in my mind, but I think the models are superb! 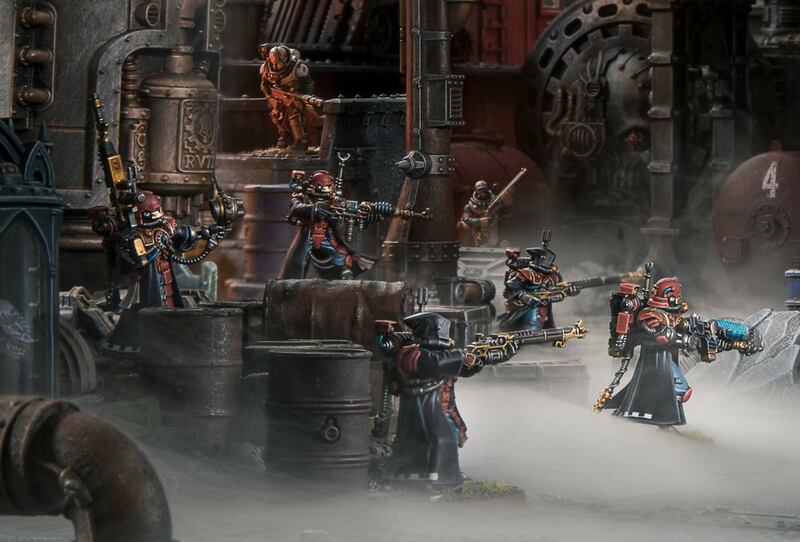 The thing with Kill Team, as I’ve said, is that it’s making me think of all sorts of little bands of warriors that I might not otherwise have done anything with. 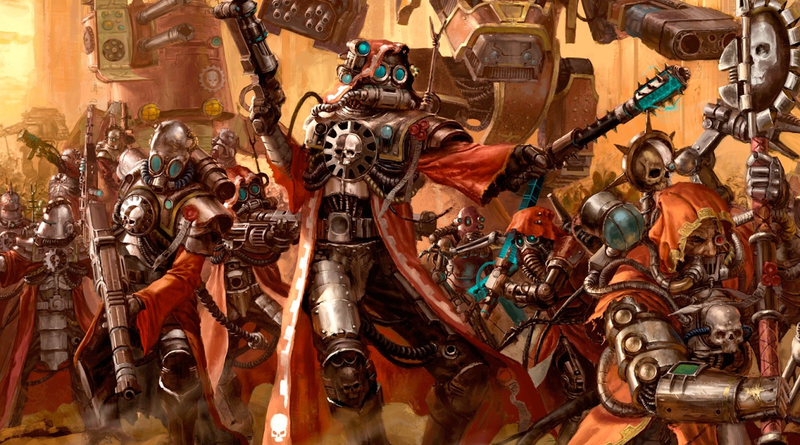 I’m also considering making teams with things like T’au and Drukhari (the latter isn’t too bad, but I’m really finding it difficult to come up with a build I like the look of for T’au). Well, this one came from nowhere! 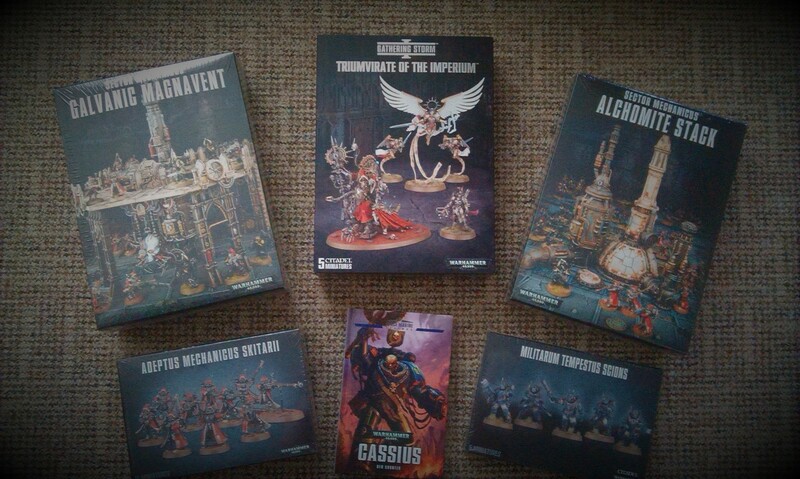 Right before I moved house last summer, Dark Imperium came out, and I was torn between building things with the new Space Marines and packing my life away. As it happens, I had to do the packing, so played a lot of 8th with Necrons and Dark Eldar, existing armies that I had painted up. With no real time for anything new, Primaris Marines and Death Guard both kinda passed me by, really, though I’ve tried a couple of times to look at the Chaos side of things over the months. Now, however, after seeing the phenomenal work of Paul Norton and his Iron Ravens on instagram, I’ve found myself wanting to do something with Primaris Marines at last. I’ve actually painted a total of five Primaris Marines since they arrived over a year ago – three Reivers, a Hellblaster and an Intercessor. While I’ve built up quite a few, as it turns out, of the other marines from the box, I’ve only basecoated them with Khorne Red and left it there. Time to do a lot more with them, then, I think! I’m going for Genesis Chapter, although I have previously thought about doing Novamarines with them as well. I might end up doing a mix, I suppose we’ll see! I know that the shoulder pads work on either flavour, though the Dark Imperium marines are often sculpted with the pads stuck to the arms already, so that may not work out for me. So far, I’ve been quite pleased anyway, though, so I might just continue with Genesis Chapter and be done with! The squad is the smallest yet, with just six chaps (and I’ve already painted one, so…) I’m planning to use the 30th Anniversary marine for the Sergeant, and then use Dark Imperium guys for the rest. I think, after playing the game last Friday, I can see a definite advantage to smaller teams, as my 15 Cultists got to the point where they auto-failed Nerve Tests and I was basically just sitting there being picked off. 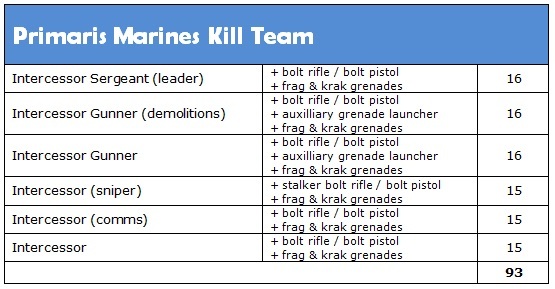 Added to this, Marines should be a lot more durable, so I shouldn’t (hopefully!) get into the position where I’m seeing my guys die off in droves. 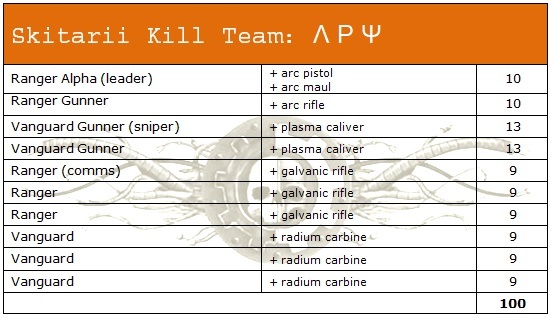 An all-shooty team should be a plus, too, as I can hang further back than with the more combat-orientated Cultists. That’s the theory, at any rate! 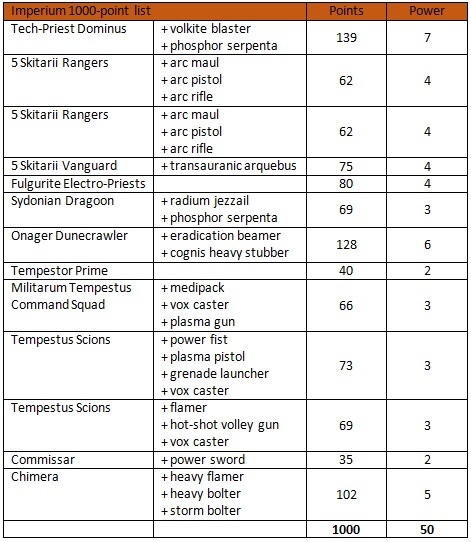 Author spalanzPosted on August 13, 2018 August 12, 2018 Categories WarhammerTags Kill Team, Militarum Tempestus, Primaris Marines, Skitarii, Warhammer 40kLeave a comment on More Kill Teams! I’ve spent what feels like a really long time so far this year, trying to motivate myself to paint the enormous stack of unpainted miniatures that I have lying around (seriously, it’s enormous). 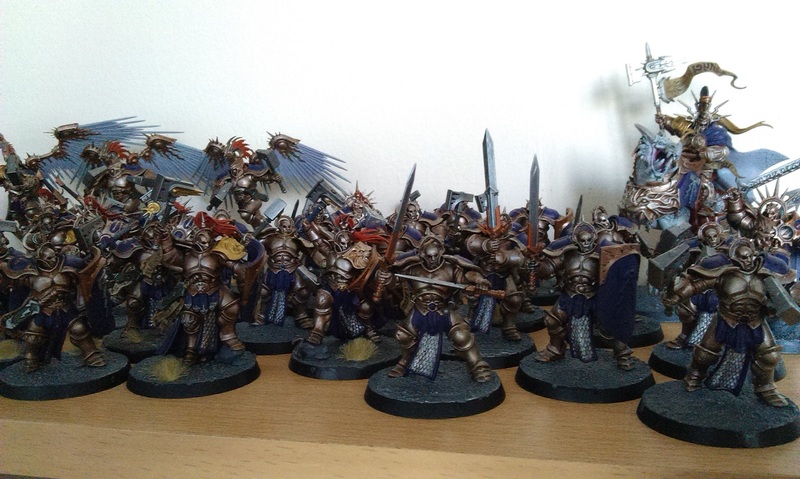 I’ve tried a couple of things to impose a sort of deadline on me, hoping that I can get something painted if I give myself a month, or give myself until the next game, but this never seems to work. Well, it’s time to introduce the latest in this list of attempts to pick up a brush! I’ve got a lot of armies on the go right now, don’t get me wrong, but I’ve drawn up 500-point lists for three of them, and so have decided to just paint the models for these lists. My thinking here is, if I only have 20 or so models to paint, that will be so much easier than staring down the barrel of 50 or more. They’re all battalion lists, so they should be vaguely playable, and I’ve gone a step further and chosen warlord traits and relics, so that they are as real as I can get them. And I have to say, it’s actually working for me in some respects, as I want to field these armies right now, and try them out! 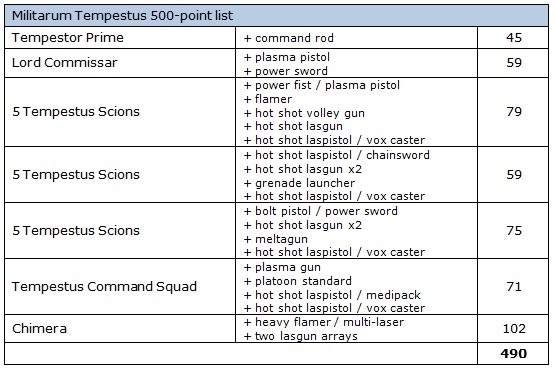 First up, it’s my Militarum Tempestus list. So I have a while to go yet, but this is definitely a project that I’m finding myself really enthused for! The big theme across this merry band is getting the most from Voice of Command, relaying orders up to 18″ away thanks to all of the vox casters. 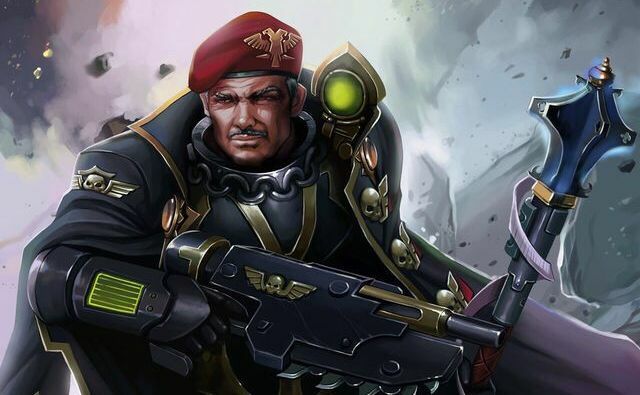 I think my eventual plan for the full army will be to have two Tempestor Primes, each with a Command Squad, whose vox caster will act as the fulcrum of that relay. The relic I’ve chosen is the Tactical Auto-Reliquary of Tyberius, perhaps the most hilarious of names for such a thing, which allows the bearer to issue another order on the roll of a 2+. It’s an army that I’m really looking forward to getting properly off the ground with, at any rate, so stay tuned for further updates there!! 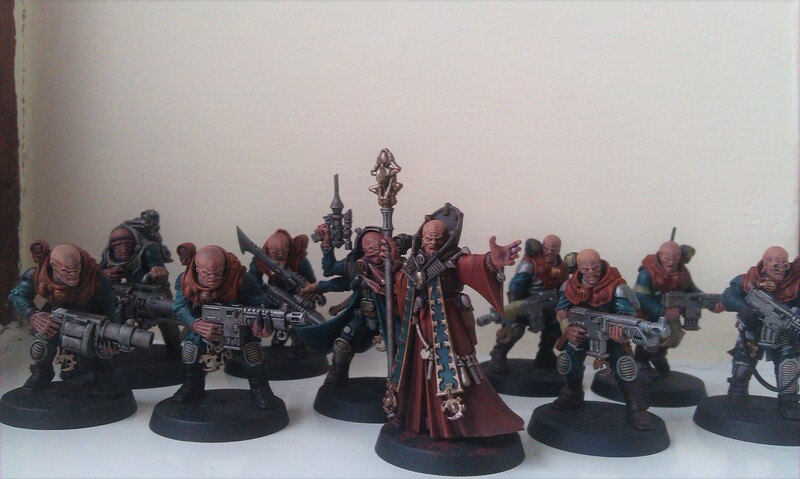 Next up, we have the glories of my Skitarii! 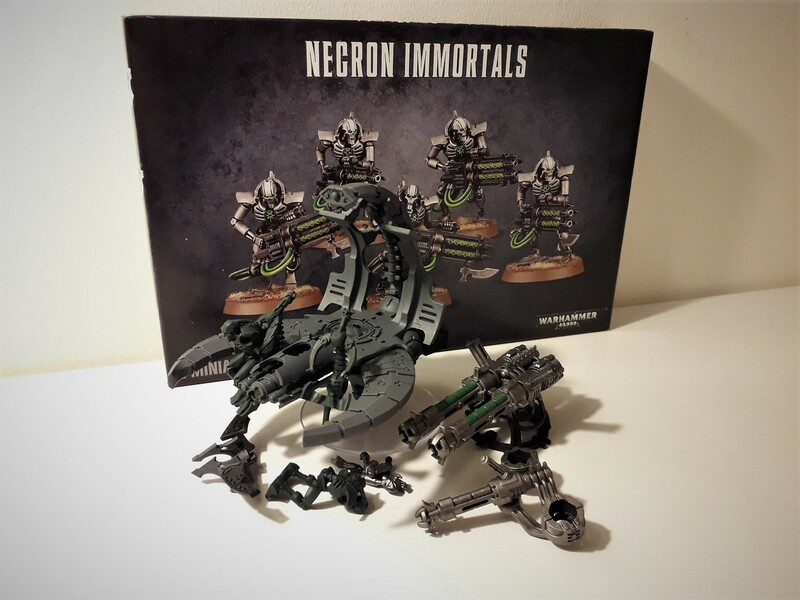 These guys have been on the radar for almost as long as the Tempestus Scions, after I bought the Start Collecting box on a whim. I’ve so far gotten further with these than I have with the Scions, however, having painted up a total of five models, but the list is a little different, with four groups of troops and a heavy support. There remains a fairly nice symmetry between the two armies, however, and I like the fact that I can put the two of them together when I’m finished, for a 1000-point Imperium army that, I feel, is nicely formed. This list, however, proved to be the most difficult to write, predominantly because I couldn’t settle on a Forge World for it! My own painted efforts so far don’t conform to any “known” Forge World, having blue cloaks rather than the traditional red. 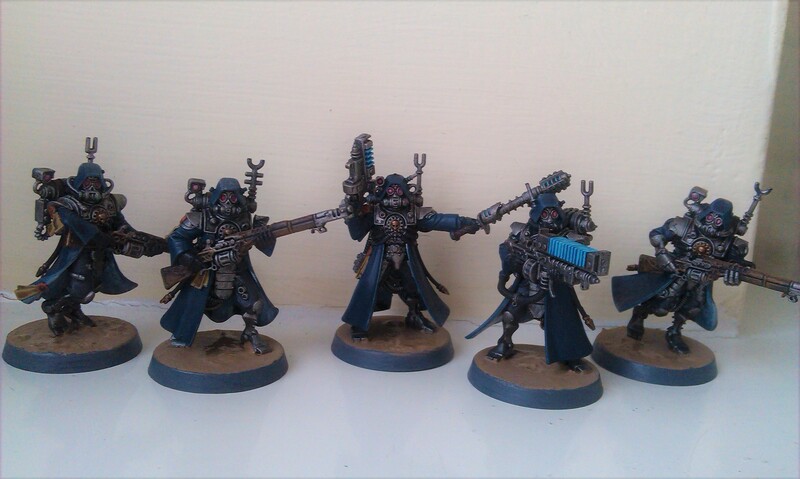 (As an aside, I thought it a nice counterpoint, back in the day, that my Skitarii were painted predominantly blue, while my Scions were predominantly red). In the event, I’ve gone for Forge World Ryza, which allows me to re-roll 1s in the Fight phase. Hopefully, I won’t be getting into any fights, but it is nice to have that kind of back-up, just in case! As far as relics go, I’ve selected the wonderfully-named Weapon XCIX, which replaces the Dominus’ volkite blaster. I’ve therefore opted not to take the Ryza-specific Warlord Trait, which would kind of do the same thing as the relic, though you can’t stack both, so instead have picked Monitor Malevolus, which is the usual one that allows you to re-gain Command Points. So there we have it, the first part of my summer painting goals! 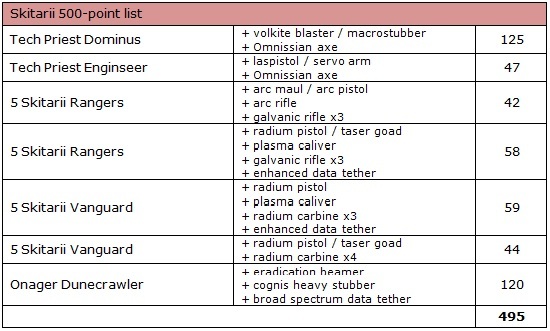 The third list involves Tau, but is a little more involved, so I think I’ll save that for a separate blog post. Stay tuned for updates as the summer marches on!! Author spalanzPosted on July 6, 2017 July 4, 2017 Categories WarhammerTags Adeptus Mechanicus, Astra Militarum, Games Workshop, Imperial Guard, Imperium, Militarum Tempestus, new army, Skitarii, Warhammer 40k2 Comments on Another new army!